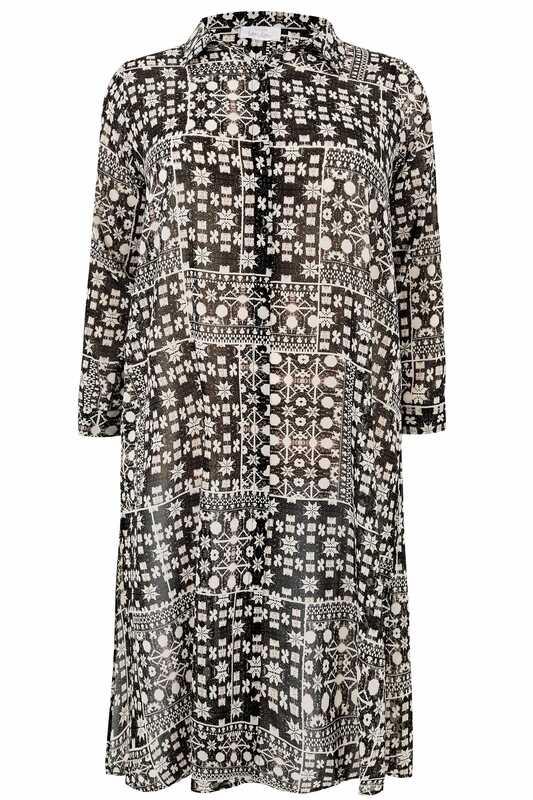 This chic lightweight shirt is a wardrobe must this season. Made from a comfortable fabric, its longline maxi style is super flattering and features side splits for easy movement. Team with denim and a simple cami for an effortless go-to look. 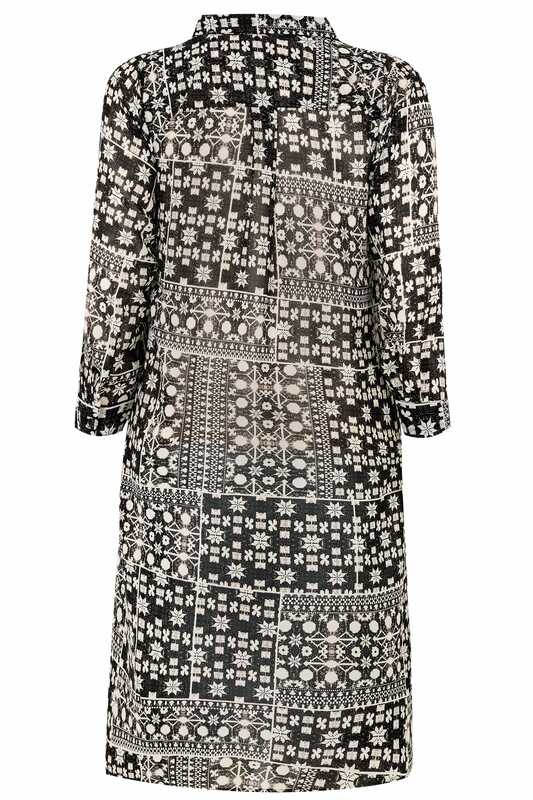 We are loving the monochrome tribal-inspired print.